Hooray for this clickbait sounding title! I've been out of this blog game for a while now, I think I'm starting to run out of creative sounding titles. 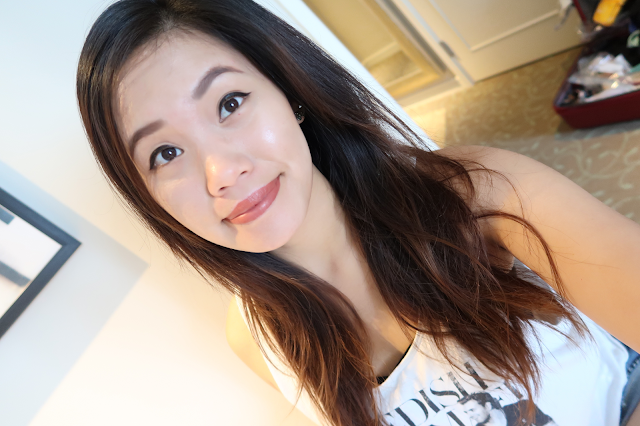 Well anyways, these long awaited travel blogposts are coming up! This is going to be the first of many! 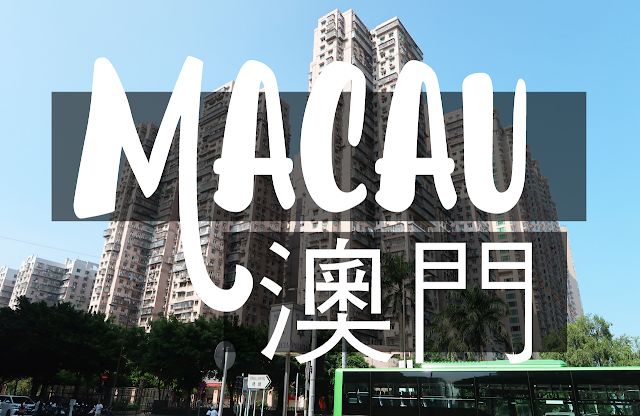 To preface this post, I went on a trip to Macau, Hong Kong, and Japan back in October 2016! 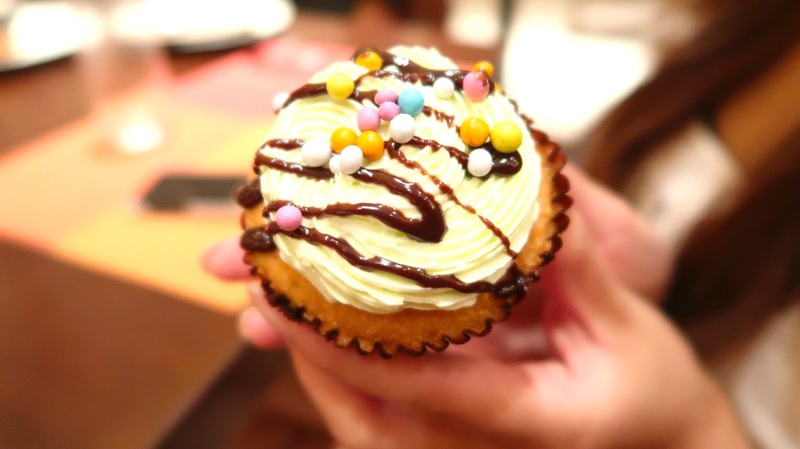 It's only now that I'm starting roll out these blogposts. I've taken over 1000+ photos throughout this trip, and I wanted to go through every single one to find the best ones to show you! Let me just say, the photos came out pretty well! It's my first time using Canon's G7x Mark II. I'm not a professional photographer. 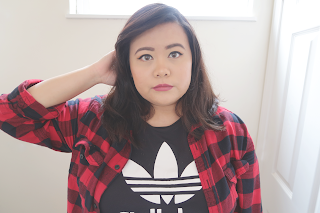 I'm just a kid who blogs for fun :]! So let's go~! 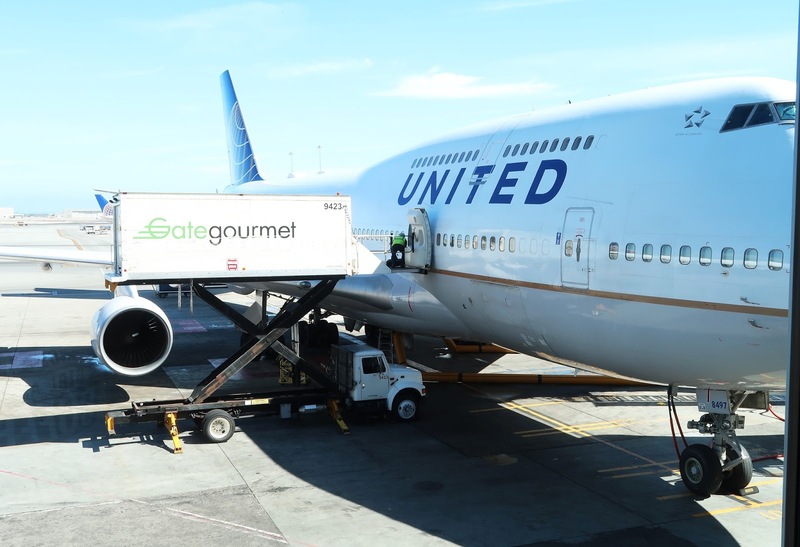 It was my first time taking United Airlines on an overseas trip. Please note that this trip occurred way before all the United Airlines drama that you hear over the news. As much as I want to say nice things, I honestly can't think of anything really memorable about United. The trip from the US to Hong Kong always takes several hours. There was no in flight entertainment (which isn't such a big deal to me because I can often entertain myself). I spent the next 14 hours of the flight studying for my Philosophy final, which thankfully, passed the time. Although the beginning of the trip started off rocky, I had high hopes for our journey! The thick levels of pollution and humid weather signaled that we made it to our destination. We landed in Hong Kong in the evening and promptly took a ferry to Macau! We stayed at the Sheraton Hotel in Macau! I didn't really get many photos of the interior of the hotel, but it was very reminiscent of the Las Vegas casinos (you can't take photos in certain areas). For those of you who don't know, Macau is pretty much known for attracting gambling tourists! I think C-dawg looks pretty in this photo c:! Check out her blog [here]. 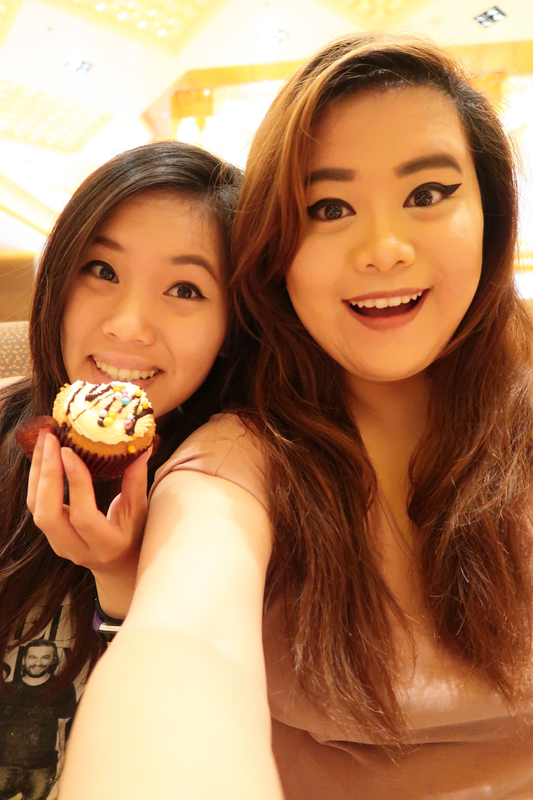 The food at the Sheraton Hotel was pretty good! There are many different varieties to choose from. 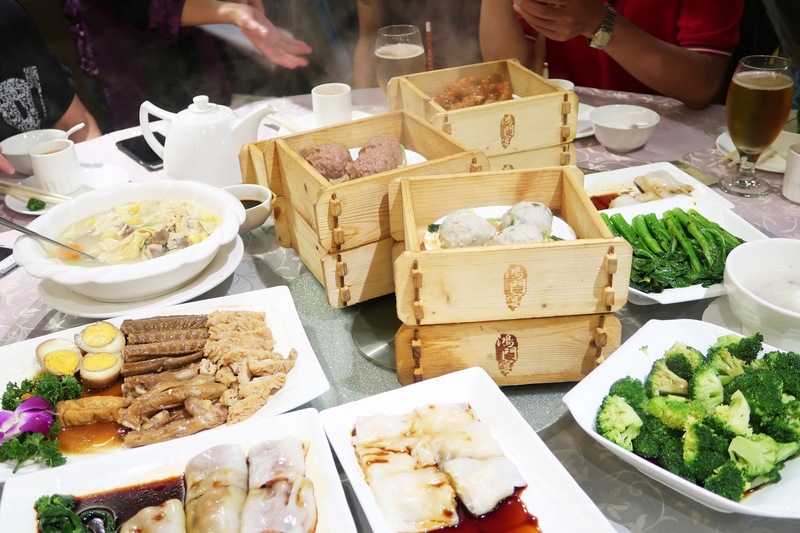 You could eat traditional Chinese food to the standard American breakfast. 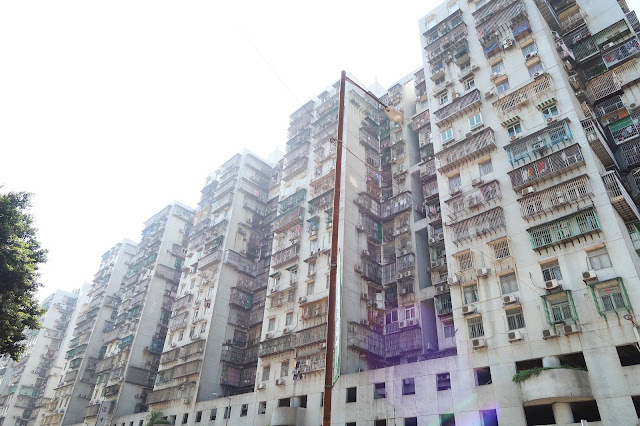 Looking at the living situation in Macau makes me feel a bit claustrophobic. Lots of people live in small apartment complexes. Claustrophobic feelings aside, it is a very interesting sight! In a way, it's pretty cool that there are so many people who live so collectivistically. You get to really build a strong community with your neighbors since you live in such close proximity. These buildings are a bit old in comparison to the newer apartments. This is around the neighborhood where my cousin grew up. 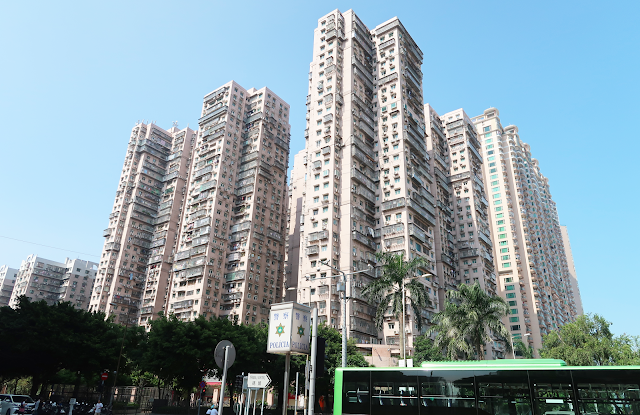 As a child when I came to Macau, we would pass by these buildings. I've always wondered what kind of people lived in there. It is very different from the living spaces we have in America. 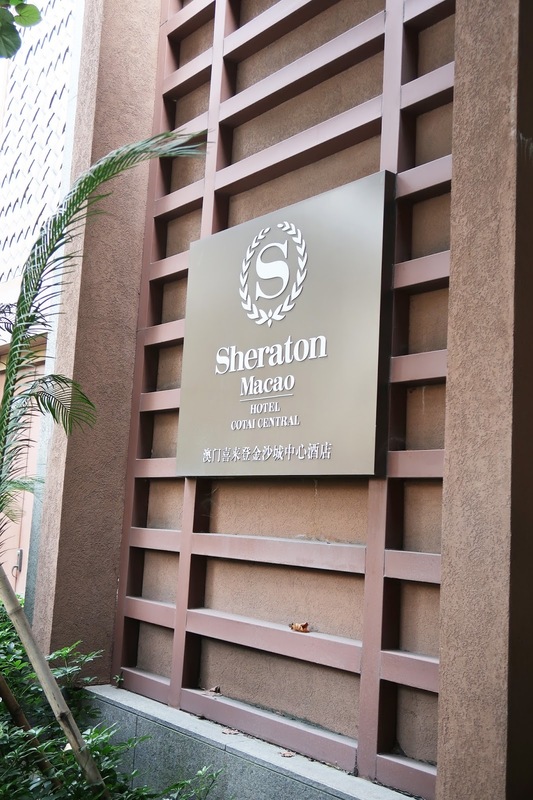 This is considered to be a great spot to live in Macau. 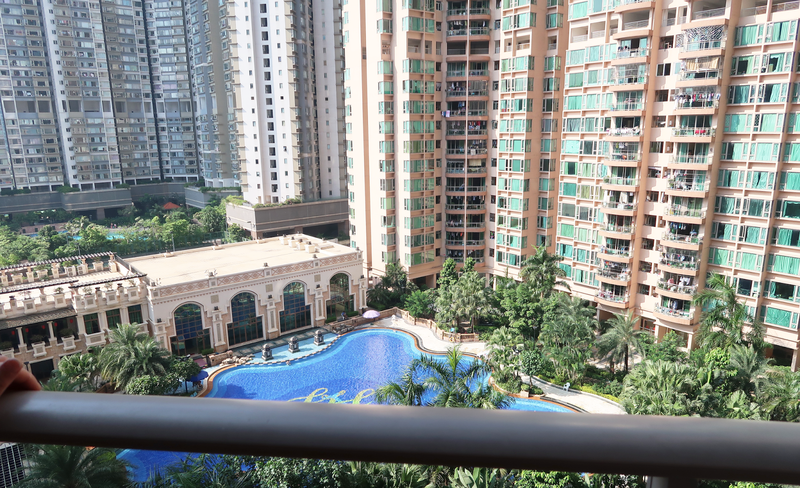 It is quite an expensive apartment space to live in, according to my aunt. It looks great! There is definitely a stark contrast between the older apartment buildings and the newer ones. After we visited my cousin's new apartment, we went out to eat food. I'm honestly not super crazy about Chinese food, but I do like the community aspect of getting together as a family and sharing a meal :)! After lunch, we all made our way to the tallest tower in Macau! I'm not sure if it was such a smart idea to go on a full stomach, but we did so anyways. 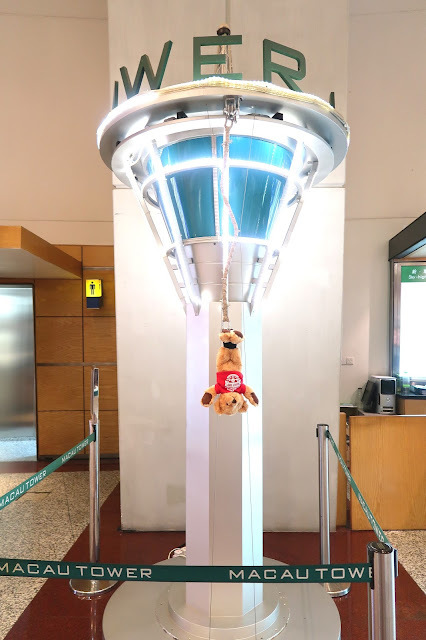 At Macau tower, there are a variety of attractions. One of their most well known attractions is a bungee jump. You take a plunge 338 meters down. Of course, none of us were brave enough to try this attraction. Instead, we opted for a more tame option. 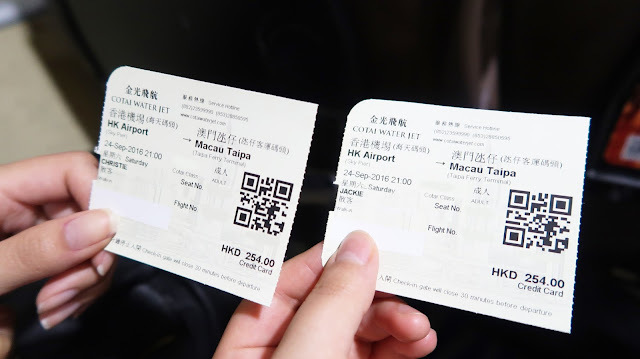 Skywalk tour at Macau Tower. 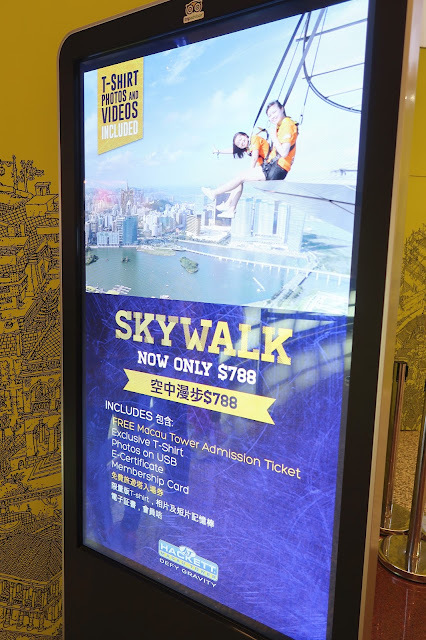 A less intense tourist attraction at Macau Tower is the Skywalk tour. On this tour, you are placed inside a harness and are able to walk the perimeter of the tower. Never in my life would I have imagined myself doing something so frightening. After some convincing, I found myself riding the elevator 338 meters to the top. Wise words to live by? This is one of the waiting areas before you a placed into the harness. 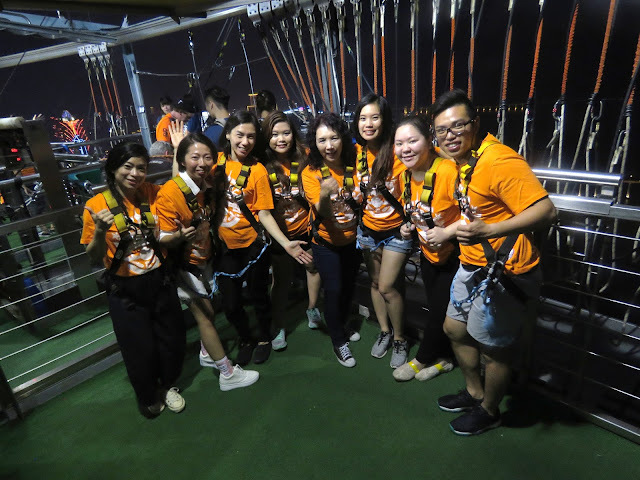 In this area, you are able to watch other people bungee jump off the tower and see others walk around the outside. The view is quite amazing in this area. You can see all of Macau! You can't get a better view anywhere else. Don't speak Chinese? It's okay. 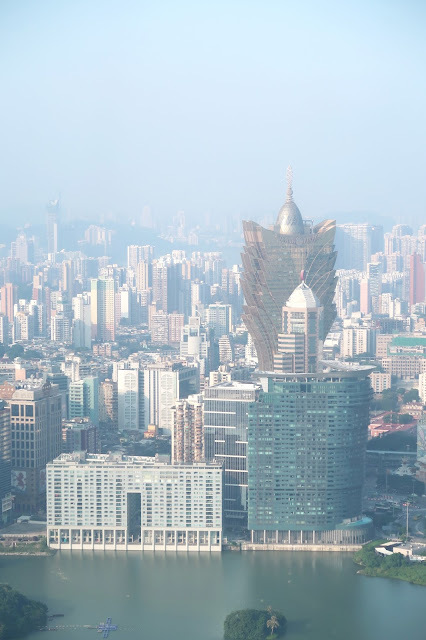 Most of the employees at Macau Tower are international and can probably speak your language. They have name tags and flag patches which tell you where they're from. After a short waiting period, a group of us were called on to the tour. We were given an orange t-shirt, had our shoes inspects, and were promptly placed in a harness. Taking these Myspace photo angles to the next level lol! Don't let this smiling face fool you. This was actually pretty scary ( T____T )! I just kept wondering what would happen if the harness snapped and I ultimately fell to my death. Guess that would be a pretty cool way to go though? Haha at least my death would've been a lot more different than everyone else's :P! Although I was a bit scared in the beginning, this was actually a pretty cool experience. 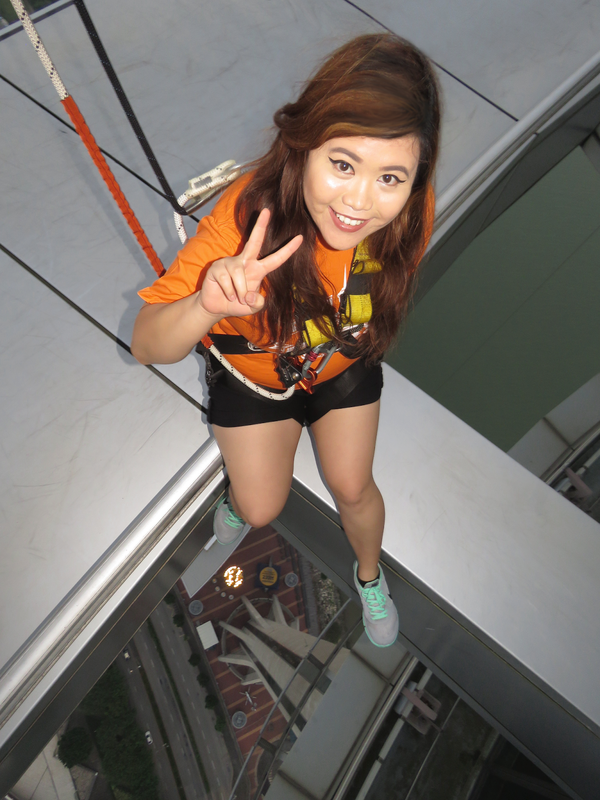 It's not every day you can say that you've dangled off the tallest tower in Macau! Guess if I'm feeling brave enough next time, I just might bungee jump. In the end, we walked around Macau's tallest tower with some strangers. There was this sense of camaraderie among all of us. 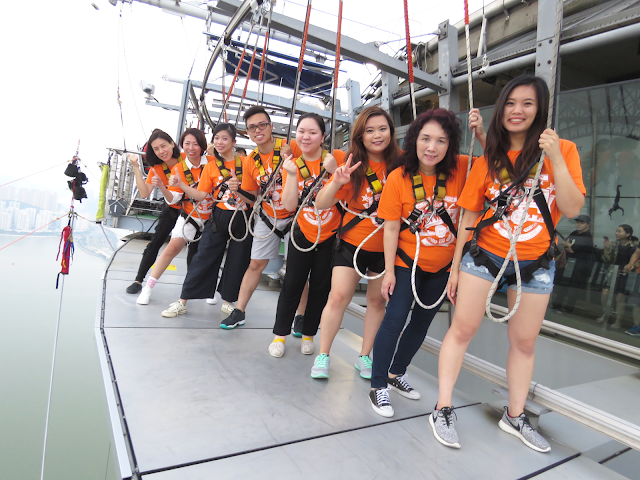 Some of us were deathly afraid of heights, but at the end of the day, we faced our fears. Looking back, it was a pretty cool experience! 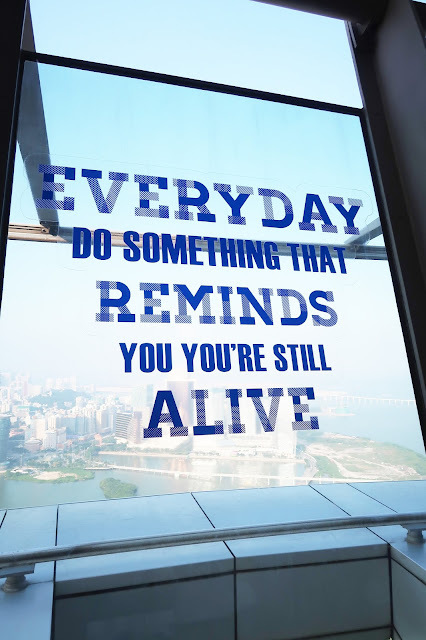 It was a stark reminder to do something that reminds you that you're still alive. Special thanks to AJ Hackett Macau Tower for the photos / video material! Also Phillip was an awesome Skywalk guide. Super cool guy and funny lol!